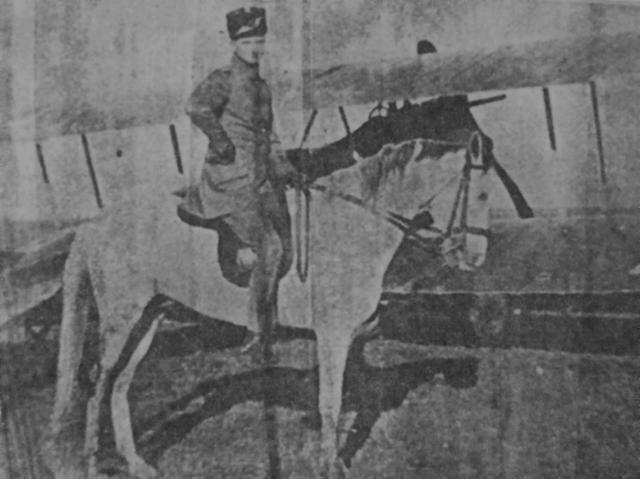 Ole Nikolajsen, Ottoman Aviation 1911 – 1919. The old contrasted with the new - Captain Keiper, CO of 9 TyB1 in 1917. The following sections about the history of the Ottoman-German Airforce in the Sinai and Palestin has been obtained from the self published work by Ole Nikolajsen called Ottoman Aviation 1911 - 1919. The commentary in this thread is derived specifically from Chapter 8 of that work called: Pasha and Yildirim, the Palestine Front, 1915 to 1918. The text has been edited to remove errors and adjust the language to make it readable for an English speaking audience. Note regarding the text provided by Ole Nikolajsen. In its original format, Nikolajsen is difficult to read. This is because the author has written in English, a language he understands well but his turn of phrase is at times more in keeping with his native tongue than English. In addition to a language issue, there is also some historical commentary that needs to be taken with caution. When Nikolajsen strays from his core subject, the quality deteriorates drastically. "After stubborn fighting the oasis was taken on the 17th of August but at this crucial time a British encouraged Arab uprising took place. Most of the Arab regiments constituting the main force of the Turkish column defected to the British side." I did not pass comment on the note regarding the defection of the Arab Regiments. As a judgement it is most unfair. Members of the Arab Regiments within the Ottoman army fought well as a rule and died in great numbers for a cause in which they had little sympathy under Anatolian officers who despised them. At Romani, this judgement is not supported by the facts. However, the transcription of the book is not the place to debate that point. It is for another place altogether. Again, Nikolajsen records two Pfalz's being downed on 24 August 1918 but I have credible eye witness accounts that say 30 August. For the reader, caution is advised in accepting certain historical parts of the commentary without further study. Ole Nikolajsen's "Ottoman Aviation 1911 - 1919" is self published. I am informed that the text was examined by a native English speaking journalist. The level of error within the text indicates that the editor possibly was a poor choice. The information contained in it regarding the German and Ottoman issues is priceless as Ole Nikolajsen has undertaken much work with the Turkish scholar Bülent Yilmazer. While the current text is solely the work of Nikolajsen, the influence of Yilmazer is strong throughout the content. To present Ole Nikolajsen's work in the best possible light, I have edited the text so that it reads reasonably well for a native English audience without altering the primary text too much. The balancing act is difficult as the temptation is to redraft whole swathes of paragraphs. However, I have avoided that for the sake of minimalist editing. In spite of these qualifications, Nikolajsen's work is original and ground breaking and thus should be seriously studied by students of this arena of the Great War conflict. The presentation of this valuable work is done in an effort to ensure Nikolajsen is rightly acknowledged for his scholarship, labour in presenting such a body of knowledge and generosity of spirit to make it available. This aircraft was chosen as it had the longest range of any available Turkish aircraft. Lieutenant Sakir who had received biplane training in Germany was selected to pilot the aircraft. This token force was to provide reconnaissance for the planned Turkish assault on the Suez Canal. 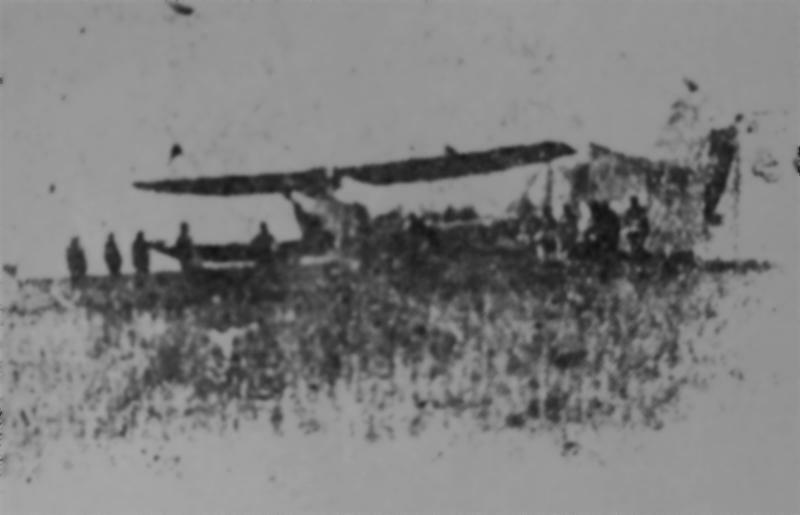 An aircraft named "Fazil" arrived at Aleppo on 28 December 1914. Here luck ran out and it crashed the next day during take-off when the engine failed. Lieutenant Sakir escaped unhurt and was soon sent to Germany to procure new aircraft for the 4th Army in Palestine. In May 1915, Austria promised to deliver 12 LVG B.I's, but the first crashed during delivery and another 2 were delayed for many months during their transport through Romania. The rest of the order was never delivered. Meanwhile the Turkish attack on the Suez Canal had been repulsed largely due to lack of Turkish aircraft to provide reconnaissance. In this situation, for the task the unsuitable acrobatic training aircraft of Ponnier design was rushed to Palestine. However, it was the only Turkish aircraft available and it safely arrived at Damascus on the 17th of March. After a few flights however it crashed on the 9th of April. While the Ottoman Army was trying desperately to get aircraft to Turkey the German Major E. Serno arrived to reorganize the flying units. Another German named Dittmar took a commission in the Ottoman Army and was soon sent to Palestine where he organized an airfield near Beersheba in late 1915. Source: The above extract is obtained from a self published work by Ole Nikolajsen called Ottoman Aviation 1911 - 1919. A Token Force comes from Chapter 8, Pasha and Yildirim, the Palestine Front, 1915 to 1918, p. 174. The text has been edited to remove errors and make it readable for an English speaking audience. The aircraft unit, Fliegerabteilung 300 "Pasha" was established on 24 December 1915 at Dallgow-Döberitz, in Germany. The officers of the unit had their first meeting in January and an advance party was formed. This comprised the Commanding Officer, Captain Heemskerck, 2 pilots, 2 observers and 41 other personnel as well as 2 Rumpler C.I's with special coolers, one Pfalz E.I fighter, three trucks and supplies for three months. The advanced party left for Turkey on 20 February. The party travelled via a long and complicated route through Eastern Europe, Anatolia, Syria and Palestine, travelling on rail, ship, ox-cart and road. They arrived at the prepared field at Beersheba on 1 of April. Two hours after their arrival the Pfalz, named “Käthe” and piloted by Lieutenant Henckel, came by air. The duties of the small unit were to provide reconnaissance over the sea to search for British seaplane tenders and covering the Sinai desert to observe British advance units. On 19 April, two Rumplers were ordered to El Arish from which an armed expedition was sent towards the oasis of Katia. During the next days several sorties were carried out over the Suez Canal, Romani and Port Said. The main party of FA300 arrived on 30 April bringing with them 4 additional pilots, 3 observers and 4 Rumplers equipped with wireless transmitters. A base receiver station was erected at the field. All six Rumplers were air worthy on 7 May, and one was immediately given the task of photographing the Suez Canal and surrounding fortifications. The five others were ordered to make bombing attacks on Suez City, Ismailia and Port Said to disrupt shipping. The last part of the unit arrived on 18 May with another two crews but only one Rumpler as the other had been lost on a flight near Jerusalem. Initially setbacks were experienced by the Aircraft Company. First on 9 May, one of the Rumplers was destroyed on the ground by a British attack. The next setback  occurred the following day [10 May] when the British, who apparently were well informed, struck the new airfield with 12 aircraft. They left 2 Rumplers completely destroyed and the Pfalz damaged. Three pilots and five mechanics were severely injured. Although a heavy blow, the raids did not discourage the unit, and on the same day a British warship was attacked off the coast. This made the whole British fleets steam west, not to be observed again for a long time. Another counter-blow was dealt the British Navy on 26 May when the seaplane tender "Raven II" was bombed and damaged in Suez harbour. 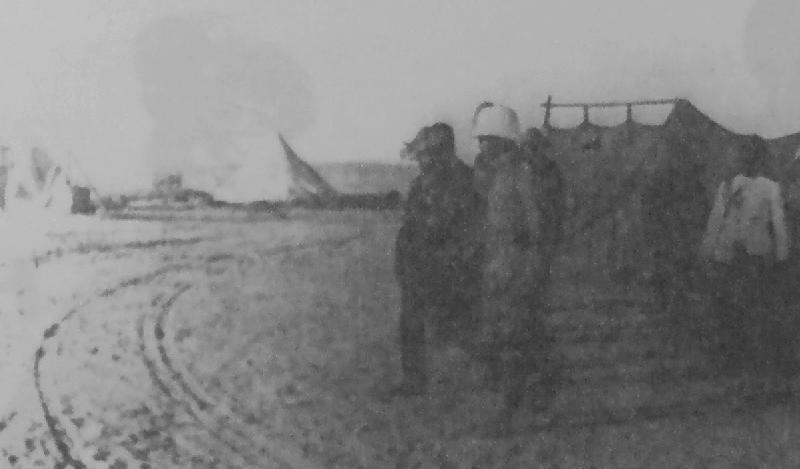 The first air-duel in the area was fought two days later [28 May] near the Suez Canal between a Farman and a Rumpler. The Farman had the advantage of a front gun and the Rumpler returned with 18 bullet holes in the fuselage and wings. On 16 June was FA300 with its full complement of six Rumplers and the Pfalz ordered to proceed to El Arish in preparation for the canal attack. Finally the new canal attack moved ahead and from 1 July, FA300 was given the task to employ all means possible to prevent British aircraft from observing the Turkish and German column of 15,000 men moving out of El Arish. 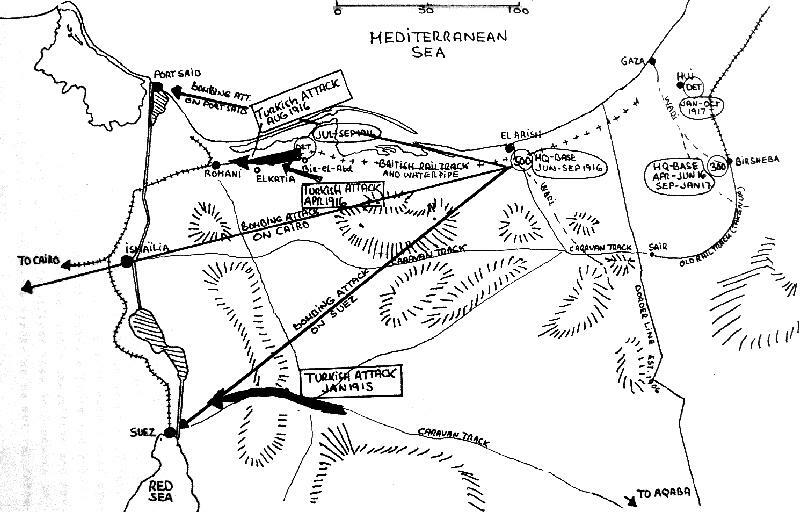 When Turkish advance units reached the oasis at Bir el Abd on 15 July a detachment with one Rumpler was stationed there to cut off any approaching British aircraft. The advance through the desert with the heavy guns in the intense summer heat soon became painfully slow and it was not until one month later that an attack on the British lines near Romani could be launched. Consequently a hurried Turkish withdrawal had to take place and in this, the FA300 played a significant role in providing rear cover. The harassment of the British cavalry force was so successful that all contact between the two armies was lost. The Turkish attack force was successful in withdrawing with all its precious heavy howitzers. During the operations Lieutenant Henckel, being an engineer, managed to shoot down a Bristol Scout with a self-constructed synchronised frontal machine-gun. By now the heavy workload had completely exhausted FA300's supplies and little ammunition while only 800 litres of petrol remained. An officer flew to Damascus to arrange for new supplies and here he was greeted by a team of new reinforcements and supplies on their way to FA300. They arrived in mid September at the Beersheba airfield. The reinforcements included the new Commanding Officer, Captain Felmy, 3 replacement crews, 6 new Rumpler C.I's and two Fokker E.III fighters. At this time had the FA300 detachment withdrawn from Bir el Abd and by 27 August the complete unit was back at El Arish. On 15 September a large attack by British seaplanes was made. Unlike the attack in June, this time the FA300 had been alerted and watched the seaplane tenders approach. Two Rumplers and the Pfalz intercepted the attackers, shot down one and forced another into the sea. Thereafter the Rumplers promptly returned to base and one hour later attacked the seaplane tenders with bombs and machine-gun fire, forcing them to retire westwards. Even though all Turkish forces were well back at El Arish, a further withdrawal to Gaza was initiated. FA300 returned to Beersheba on 25 September. This was done by three night marches with the assistance of 300 heavily laden camels. At Beersheba the headquarters was re-established with 9 Rumplers, 2 Fokker E.III's and a barely air worthy Pfalz E.I. Captain Heemskerck and 3 of the first members of FA300 returned to Germany. During the following months, the Turkish forces were reorganizing around Gaza while the British moved slowly ahead in the desert building a supporting railway track. This was a period of attrition in the air. Despite the unquestionable air superiority gained by FA300 in this period the high number of British aircraft and their shorter supply line made them able to perform a number of concentrated attacks on the airfield at Beersheba. No important German equipment was lost in these nuisance raids, as all  aircraft and vital equipment had been dispersed. The raids however soon became such a menace that headquarters and equipment of FA300 was relocated on 10 January 1917 to a new field near the old monastery at Ramleh. The workshops were transferred to Damascus where they eventually supported all Palestine aircraft units. On 1 March the old personnel of FA300 were relieved by new battle proven western front crews arriving from Germany. Soon also 8 new Rumpler C.I's with a synchronised forward firing gun were received. During the next months, the surviving 7 old Rumplers were sent to the Damascus Aircraft Station and after refurbishing re-issued to the Turkish 3ncu Tayyare Boluk (3rd Aircraft Company). Source: The above extract is obtained from a self published work by Ole Nikolajsen called Ottoman Aviation 1911 - 1919. Pasha I comes from Chapter 8, Pasha and Yildirim, the Palestine Front, 1915 to 1918, pp. 175-9. The text has been edited to remove errors and make it readable for an English speaking audience. Albatros CIII at Medina, 1917. By spring 1916 increasing unrest among the Arab tribes on the Arabian peninsula forced the Turkish Hejaz Command to ask for reinforcements to protect the holy areas. As British aircraft had been reportedly seen in the area a Turkish Aircraft Company was expressly requested. Due to the special religious consequences none of the German personnel already in Palestine could be used. 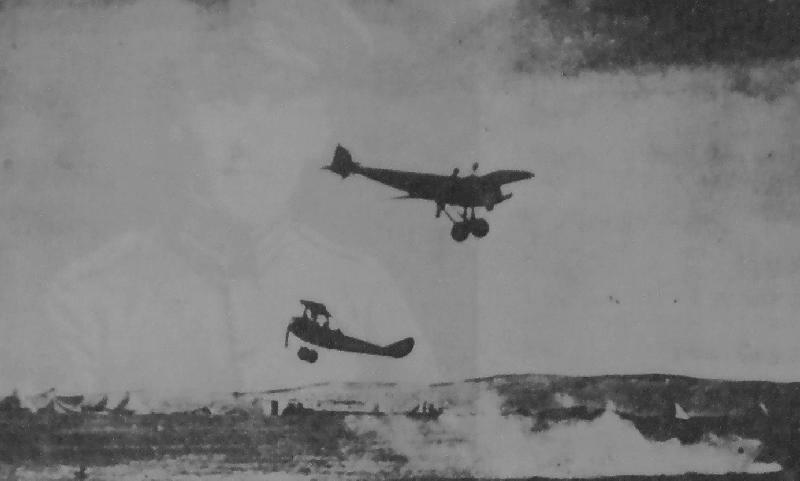 The 3ncü Tayyare Bölük (The 3rd Aircraft Company) was diverted for the task. Originally formed for service on the south Caucasus front was hurriedly issued with 5 Pfalz A.II parasol type monoplanes, numbers P6, P7, P8, P9, and P10. The advance party of the unit left Istanbul on 23 June 1916, taking with them 3 of the aircraft, 2 portable hangars, 50 bombs and 20,000 rounds of ammunition under command of the Commanding Officer, Captain Camil. The support crew included 1 officer, 2 NCO's, 2 mechanics and 97 Other Ranks. The advance party arrived in Damascus on 1 July. The balance of the company arrived two weeks later. Soon the aircraft were readied one by one by the Damascus workshop. One the first test flight, each aeroplane was subject to a forced landing with a faulty engines. As in the equally hot in Iraq the rotary engines of the Pfalz proved totally unsuitable for the hot climatic conditions. Specialists from FA300 were called to Damascus, but it was not until later when Captain Fazil, a skilled veteran Turkish flyer trained by Bristol and of exceptional piloting and technical aptitude, was brought in as Commanding Officer that the Pfalz aircraft became reliable enough to fly. After this unfortunate interlude the 3ncü Tay. Böl. arrived on 3 October 1916 at Medina. Here a relatively large airfield close to the railway station had been prepared. Immediately operations were initiated against  the British assisted, rebelling tribes. During the first month, Captain Fazil and Lieutenant Fakir with Lieutenant Kamil as observer flew 14 sorties dropping bombs and darts on Arab camps. This pace was kept up in November with also 14 sorties being flown. On 7 October, Sheik Faisal's headquarters was spotted and the camp attacked. This was continued the following day with a two aircraft attack with Captain Fazil in P7 and Lieutenant Fakir in P10 in which they dropped four 15 kg bombs and three 5 kg bombs. In November, on the 26th, a long awaited Albatross C.III (AK.28) arrived. Tragically this aircraft was lost the next day when it disintegrated in the due to severe turbulence. The pilot, Lieutenant Saim was killed. Nevertheless the operations were kept in a high key during December; 3 air-worthy aircraft and 4 crews being available. By the end of the year the flight log of 3ncü Tay. Böl. showed that 78 hours had been flown in the fragile parasols under the most difficult conditions. Fortunately at this time three new Albatros C.III's were received from Damascus (AK30, AK40, and AK72) and they soon flew alongside the remaining parasols. The last Pfalz A.II flight was made by Captain Fazil in P7 on 7 March 1917. During their stay in the desert of Arabia the five Pfalz's logged 150 flying hours. Meanwhile two additional Albatrosses, AK4(a C.I) and AK31, had been received. During March, 8 sorties were flown by these machines. Soon however it was seen that also this type of aircraft did not perform well in the dry and hot climate. As replacements Rumpler C.I's double coolers were promised, as some had been made available from FA300. During the summer of 1917 the Arab "hit and run" attacks on the Hejaz railway line became increasingly felt in Medina as vitally needed supplies for the aircraft unit could not get through. As a consequence the headquarters and main force of the 3ncü Tay. Böl. was moved to Maan on 1 August 1917. This move placed the unit under the command of the 4th Army, covering the area east of the Jordan River. The main duty of the aircraft company now became aerial protection of the railway line, although a detachment of a single Albatros was kept at Medina. Damascus - 1 Albatros (AK59) and 2 Rumplers (R2628, and R2636). Between September and the end of December 1917 altogether 61 sorties were flown by the 7 pilots (Lieutenants Cevdet, Sakir, Orhan and Sergeant Hasan Fehmi at Medina; Lieutenant Emin Nihat and Sergeant Zeki at Maan; and, Lieutenant Huseyin Husnu at Dera) and 4 observers (Captain Izzettin and Lieutenants Cemal, Osman and Lutfi) of the detachments. Source: The above extract is obtained from a self published work by Ole Nikolajsen called Ottoman Aviation 1911 - 1919. 3ncü Tayyare Bölük (The 3rd Aircraft Company) comes from Chapter 8, Pasha and Yildirim, the Palestine Front, 1915 to 1918, pp. 179 - 181. The text has been edited to remove errors and make it readable for an English speaking audience.